Why is Phone Ninja the number 1 choice for all LG G6 repairs in Perth? Experienced technicians, high quality parts, friendly service and a business that has served over 30,000 repairs since 2009. 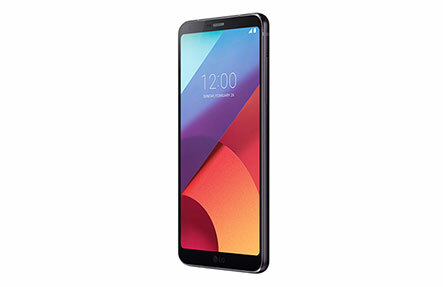 LG G6 screen replacements are by far our most common repair, but it doesn’t stop there as we also offer battery replacements, rear glass repairs, camera repairs, and much more from all our stores spread right across Perth, WA. Want your LG G6 back in a working condition, often while-you-wait? No booking is required, but appointments can be booked online. Think you’ve found someone who will repair your LG G6 in Perth for cheaper? We’ll match their price! We thoroughly test all devices making sure that everything works perfectly and that your device is fixed right, the first time. So contact or drop into any of our Phone Ninja stores today for a quote or a repair, sometimes while-you-wait. Copyright 2016 Phone Ninja, All rights reserved. All other trademarks & copyrights are owned by their respective owners. We are an independent phone repairer and not affiliated with LG in anyway. All our LG repairs use compatible or refurbished parts only. None of our repairs, products, or parts are official nor endorsed, authorized or refurbished by LG.